I believe in and practice a form of responsible non-monogamy called "Polyamory". What the hell does that mean? Well, that's a rather complicated question. 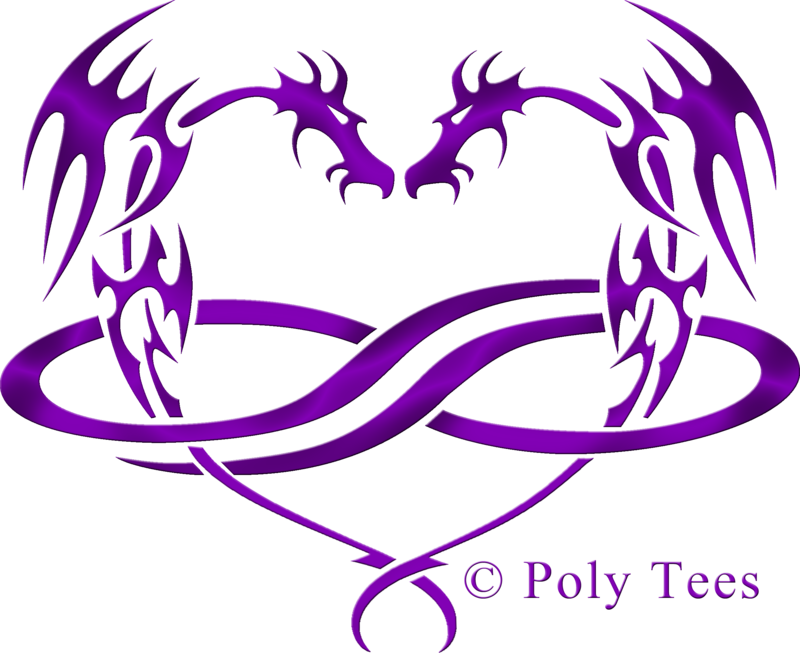 Polyamory (n) - poly - from the Greek word meaning "many"; amory - from the latin word amor, meaning "love". Literally, this word means "many loves". The practice and/or belief of romantically loving more than one person at a time. That's the simple definition. But what exactly is it? There are as many different versions and opinions about polyamory as there are people who practice and/or believe in it, and many of those people write websites about their opinions. In fact, www.morethantwo.com is one of the best sites out there. Here, I will try to answer some of the questions I get asked most often using my personal opinions and observations about polyamory, with some factual or non-personal background for those totally unfamiliar with these concepts. I strongly recommend scanning the Terms page first, as I will be using poly terminology throughout my website with the assumption that visitors to the Inn are familiar with these words. Of course, you can reference the Terms page at any point, but it helps to have a basic understanding of most of the terms before you jump headlong into one of my rather verbose explanations.